Like the United States, Australia is struggling to find answers to a growing addiction and overdose crisis – and restricting access to opioid pain medication is the favored solution. A new report by the Australian Institute of Health and Welfare (AIHW) found that a million Australians -- about 4.7% of the population – abused a prescription drug in 2016. That’s up from 3.7% in 2007. In 2016, there were 1,808 drug overdose deaths in Australia, but the leading cause was not pain medication. Benzodiazepines, a class of anti-anxiety medication that includes Xanax and Valium, were involved in 663 overdoses -- compared to 550 deaths linked to opioid medications such as oxycodone and codeine. Recent reports from Florida and Pennsylvania also show that overdoses linked to "benzos" outnumber those from pain medication, although you rarely hear about that in today’s anti-opioid climate. Unlike the United States, where prescriptions for opioid medication have been in decline for several years, in Australia they rose by 24% from 2010 to 2015 – driven largely by a 60% increase in the rate of prescriptions for oxycodone. Like their American counterparts, Australian regulators and health officials are responding to the overdose crisis by reducing access to opioid medication. Starting in February 2018, Australians will need a prescription for codeine, which is now widely available in over-the-counter analgesic and flu medications. Australia is also introducing a national prescription drug monitoring system. Economic despair and social isolation appear to be playing major roles in Australia's overdose crisis, just as they are in the United States. Earlier this year, a nationwide survey found that people living in remote, rural areas of Australia were almost twice as likely as those living in major cities to use pharmaceutical drugs for non-medical purposes. “This finding also held true for Australians living in the most disadvantaged socio-economic areas, with 6 percent having recently misused pharmaceuticals compared with 4.2 percent of those in the most advantaged areas,” James said. 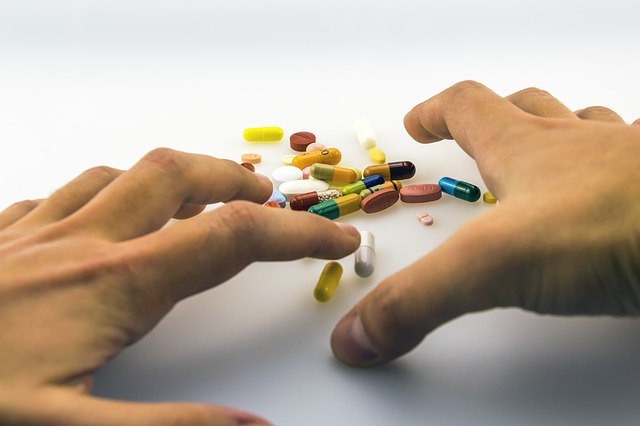 Australians who misused prescription drugs were also more likely to experience mental illness, chronic pain and psychological distress compared with those who did not misuse them.